Parents should instil in their children good values and positive habits, like reading, at an early age to develop their personalities and to contribute to the community, said a UAE counsellor. At a discussion entitled 'Read and Rise' on Abu Dhabi International Book Fair's final day, Khalifa Al Mehrazi, a social counsellor, said that effective reading skills stem from the early inculcation of reading habits in children. 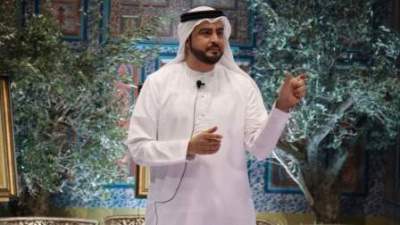 "Children who witness their parents reading regularly are more likely to grow up as enthusiastic readers," said Al Mehrazi. "The process of instilling good values and positive habits in children should be complete by the time they reach the age of 15.The child's environment, such as the school, street, friends, and the media, along with other factors, has a strong influence on the development of knowledge and values." Parents are responsible for ensuring their children adopt the right values, so that they can develop into well-adjusted individuals who can make positive contributions to their communities. The discussion was part of the talk on the role of reading in personal value and skill development, as well as an insightful debate on the importance of literary criticism, hosted by the Sea of Culture Foundation's Literary Salon. At another session, held under the theme 'Writer, Reader, Critic: Where is the Absent Party? ', Prof Khairy Douma, director of Cairo University Center for Arabic Language and Culture, discussed the role of criticism in the Arab literary scene, stressing that the growing influence of blogs and social media used by lay readers and non-scholars has undermined literary criticism's scientific basis. "In today's literary landscape, the role of criticism in developing new literary talent or shaping emerging trends has changed. Critical writing now all too often tends to take the easy path of following the whims of the public, and critics have lost sight of their real role in evaluating the merits of literature," said Douma. Speaking on the current role of literary criticism in the Arab world, Prof Douma argued that there is a lack of genuine and constructive criticism today, and that the dominant genres have no significant impact on the progress of Arab literature because they lack the necessary academic foundation. Critics should aim to position works on the literary history map, and contribute to the development of the literary process. Manal Abdel Ahad, writer and journalist, who also took part in the discussion, said that today's literary critics often opt either for unequivocal praise or unwavering criticism, while neutral opinions are increasingly rare. She pointed to the rise of a new style of criticism that seeks to market or promote 'cultural goods' purely as propaganda and a result, some writers adopt a casual approach to their work, aiming to satisfy a certain category of critics at the expense of literary quality.